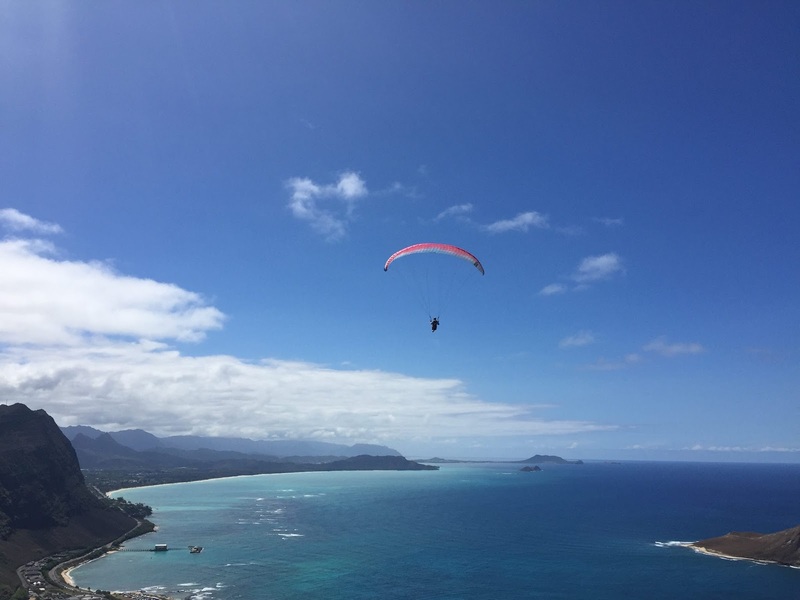 Please join members of the hang gliding, sky diving and paragliding communities at Makapuu on Sunday, September 20, to commemorate the life of our adventurous friend Dr. Bill Harris, who recently passed away after a lifetime spent in passionate pursuit of airtime. He was not only a long time mentor to many but he also never stopped learning and expanding his flying horizons. Bill’s wife Georgie will be there, and we are planning to drop flowers just offshore of the LZ if it’s flyable (and so far, the forecast looks good). If it’s not flyable, we will arrange to have them dropped from Brandt’s helicopter. Please bring some flowers and meet at the Makapuu LZ at 9:00 am Sunday, to get pilots in the air by 10:30 for an 11:00 flower drop. Hang glider pilots will be bringing cold refreshments, veggies and dip. I'm bringing my BBQ and a cooler full of beer. Koa will be there too! And he may even fly! Alex and I will be on the first Task of the Nationals in Owens. Hopefully Bill can swing by to keep us safe and flying high. Bill, I am glad I got to watch you fly at Makapuu. With that I am planning on another 30 years of flying. I guess you'll be getting another set of wings. Keep an eye on us.